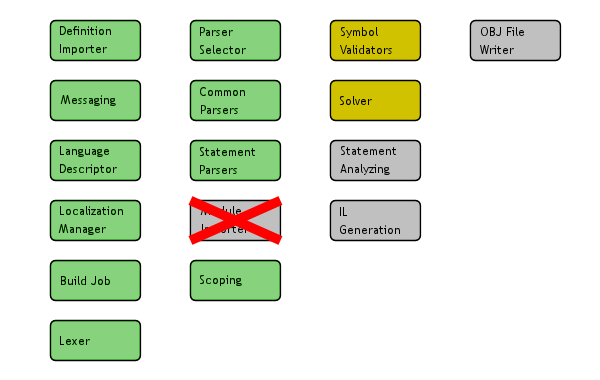 Personally speaking, writing parsers for 40 different kinds of statements was a little repetitive and mechanical work (yes, we use specialized parsers instead of a state table and stack), but the boring part is now done. I’d say we’re definitely getting somewhere here. There are already 20,431 lines of C# code in 270 files, so the compiler project alone is pretty huge.